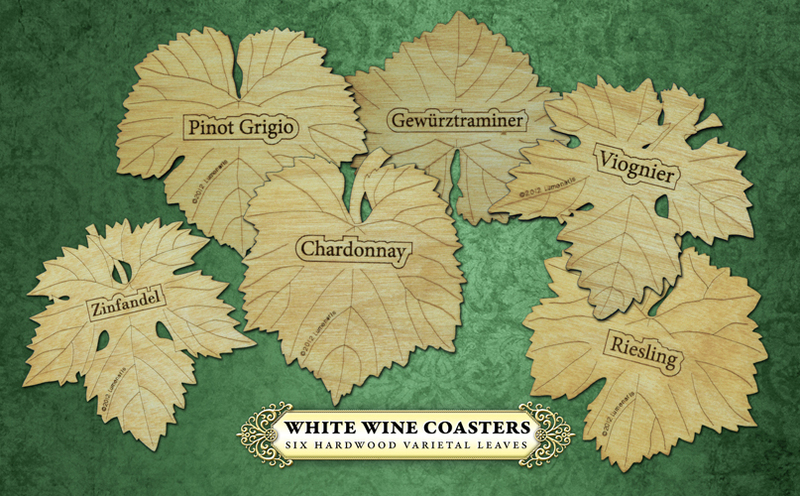 So, you are serving your guests different wines. How can your guest remember which is which? 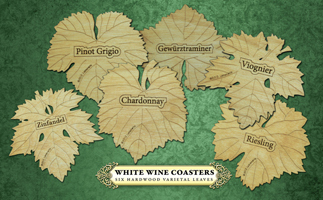 Try our attractive wine coasters and put one with the varietal name under their glass. 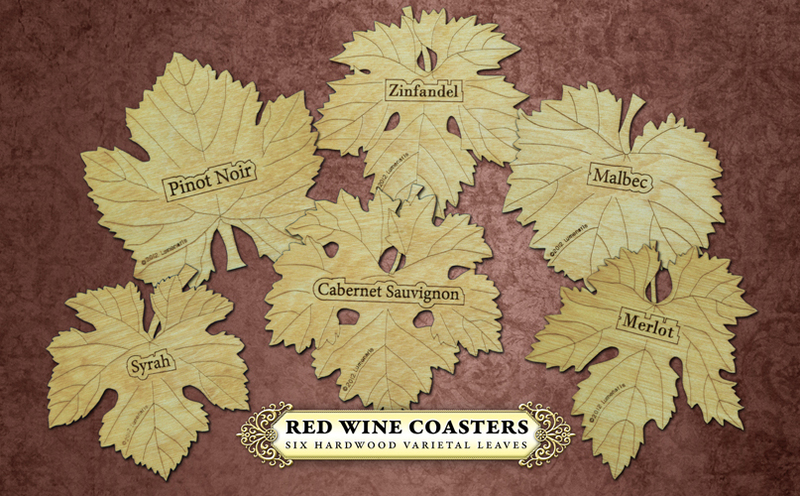 Contains 6 leaf shaped coasters, each shape from a different variety of grape with the varietal name engraved. 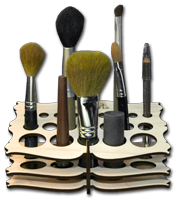 Packaged in an attractive gift box and made in the USA from 3-layer European birch hardwood. The golden oak finish provides water and alcohol resistance with an attractive natural sheen and texture. Each leaf has a character of its own due to the natural variations of the wood. To clean, simply wipe with a damp cloth.